Razer recently announced the Tiamat 7.1 gaming headset that promises to deliver the ultimate 7.1 Surround Sound experience. The Razer Tiamat 7.1 is the world’s first circumaural gaming headset with 10 individual drivers built-in. This means that gamers can get an advantage with this headset as they will be able to clearly hear in-game sounds. Razer says that with the Tiamat, on can hear incoming enemy footsteps. The Razer Tiamat 7.1 packs a total of 10 discrete drivers that represent the 7 surround sound channels plus subwoofer; 2 for center, 1 each for the left and right, surround sound left and right, surround back left and right, and 2 for the subwoofer. All drivers work in unison to produce a true surround sound experience. 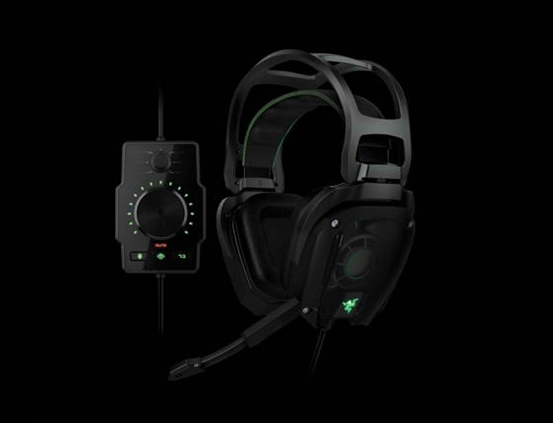 The Razer Tiamat will be priced at US$179.99 and will be available starting in the fourth quarter of 2011.